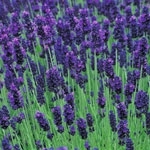 Aroma / Scent: Characteristic of fresh lavender with floral notes. Love these Aroma Oils. These have given me an edge in a very competitive market. I sell natural products, with no chemical additives. Essential oils can be harmful depending on the product, age of the consumer, etc. Smells very much like natural lavender. Even if it doesn't last in CP soap, I will still buy more for body lotion.